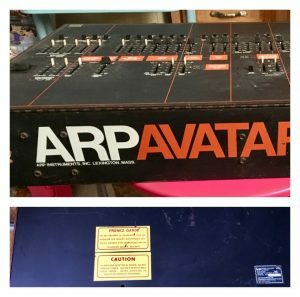 “ARP Avatar Guitar Synthesizer 2223 Made In USA. Needs power cord (See pics). There are a few sliders broke off but can slide and also missing few knobs. Can be connected to an analog keyboard with the control voltage out.